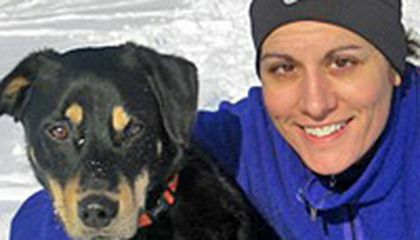 Janet Mihalyfi, 39, of the Georgetown section of Washington has hired psychics and private investigators, posted thousands of fliers, installed cameras in the woods and put out dog food at spots where the Rottweiler mix has reportedly been spotted. She hasn't seen Havoc since. "Anybody that has a pet knows that they are a family member," Mihalyfi told The Associated Press. "I love him as I would anybody that I'm close with ... I can't give up on him." Mihalyfi is an information technology director at a Washington consulting firm. She said she has devoted every weekend since Havoc's disappearance to the search. She described it as all-consuming, exhausting and depressing. "It's been a very emotionally taxing year," she said. Mihalyfi said her hope of finding Havoc, who has an implanted identifying microchip, is constantly renewed by tips from people. Mihalyfi estimates that about 30 to 40 percent of the tips have been accurate. She said she has plenty of evidence that Havoc is spending his days in two wooded parks in the District that are thousands of square miles large. Though Mihalyfi has gotten help searching from a group of volunteers sympathetic to her plight, she's also fielded some criticism for the amount of money and time she has spent searching for a dog. "I know people are in shock by the number. But there's also a correlation between how long I go after this," she said. "Lost-dog searches are expensive and this has lasted a year." She said she can't imagine a better way to spend her money than getting a member of her family back. Critical thinking challenge: If Janet knows her dog is in one of two parks, why is the dog so difficult to find? If I lost my dog I would go look for him but I wouldn't spend all that money. It's just a waste you can just do the old-fashion way and do a search party. I think it is really sweet how some people don't just give up on their animals but keep looking for them hoping that someday they will show up and come back. The dog is probably difficult to find because both of the parks are thousands of square miles large. If the park is as big as its said to be, how is she going to find a dog with all that land to search. U think the answer to the critical thinking challenge question is that the dog probably moved from place to place, making it harder to find the dog. That is what I think the answer is too the critical thinking challenge question is. I know people love their dogs and would go to great lengths to find them but I think that spending $35,000 is ridiculous. In the future, I hope she does actually find her dog. I think this is amazing, but spending 35,000 is a bad choice to me. That's a lot of money. I have a dog myself and if I lost him i would be pretty torn. I don't know the relationship between her and the dog, but it must be strong. It is obvious that this dog means a lot to Janet. If a dog has been in your family for lengthy amount of time, losing it would be hard on everyone who loved it. I understand spending a lot of money on finding a lost pet, but putting this much money and effort into finding a lost pet is a little overdone. I would have done anything and absolutely everything to save my dog. I feel that this woman is an inspiration. Dogs are also a member of the family. It makes me feel god that animal lovers would do such an amazing thing.If i was there I would have helped out to find Havoc. 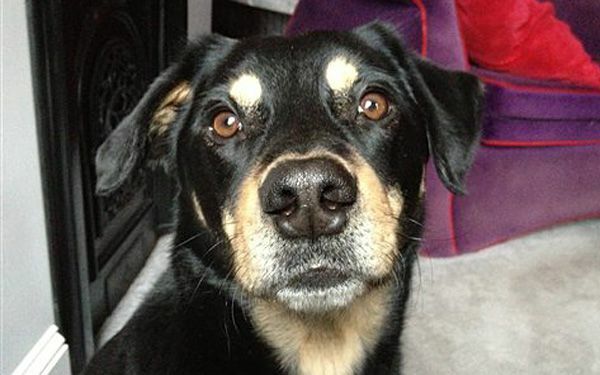 Janet Mihalyfi has spent $35,000 searching for her lost dog. She has hired physics and personal investigators. She has also made thousands of fliers and installed cameras in the woods to find her beloved dog. Janet says that spending all this money is worth is to find a member of her family. I think that article was very interesting because it shows how much this women would do to find her dog.